I found this while on tour at the Coors factory. What is particularly interesting about this problem is that the sign contains something that isn’t even a word. Mens does not exist in the English language. Men is the plural for man, so if one is trying to make men plural by adding an s, that person is creating a plural of a plural, which is a non-word. I think the intent of this sign is to indicate possession; the apostrophe is missing. 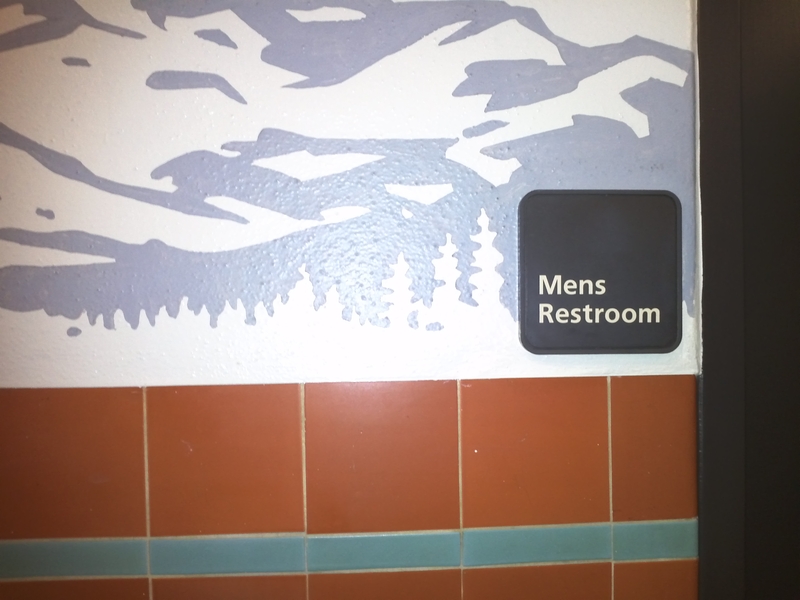 “Men’s Restroom” works because it means a restroom that belongs to the men. On the same note, the word mens’ does not exist, either. I have seen this mistake several times; I think it’s an overcorrection of when people learn the rules of making a plural possessive. The best way to remember this one is that men is already plural, so all you have to do is add the ‘s.